My family and friends cannot thank you enough for the kindness, pure heart and healing effects that you have brought into our lives. I have not felt well in years and in one day you made me feel like a new person. You have changed my sister’s life with the weight loss thus change her health status that I worry about every day! My nine year old son had psoriasis that was gone in two days with acupuncture and the "magic cream". My fiance has multiple problems including parasites, allergies and GI reflux which he has had major problems with all his life. In just two treatments he has relief. You have touched and changed our lives forever. I am a registered nurse and own a home health agency and personally have seen the dangers of prescription meds and their side effects. Thank you to God for bringing you all into our lives and allowing Kay and Tom to open their home to all of us for your expertise in your fields. I feel grateful and indebted to all of you! I look forward to seeing you all soon and please travel safely home and lastly may you all have peace, love, happiness and prosperity. You all deserve it! As we Americans say...You Rock! I would like to take this opportunity to share with others about my experience when I visited Dr Tam. First and foremost Dr Tam is a true man of God. He allows God to use him to help people with severe skin conditions. He will tell you up front that he will treat you with all the love but God is the healer. After just two days I could see a noticeable difference in how my skin looked and felt. The herbal pills and topical cream are amazing. 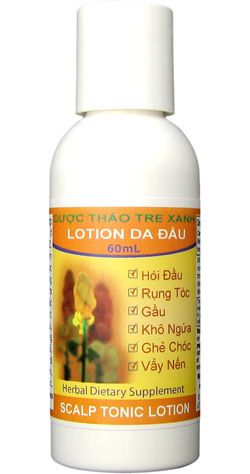 If you are suffering from a skin condition with no results from mainstream doctors/dernatologist I would strongly urge you to try Dr. Tam and his natural way through wholistic methods. This is Vuong Thi Dang (Angela). Thank you for helping me get better. I am coming back on October 31. I have had eczema for almost 10 years. Now my skin is smooth but I still have two more appointments to go. Everybody in my family has noticed the change in my skin. I celebrated my 10th birthday and I had a great time. It was a sleepover and I had no problem sleeping. I am really thankful for my healing and I thank God for calling my mother to send me to the right doctor. May God bless Doctor Tam and his wife for helping me recover. I am also proud of him for helping much more people. Thank you so much! May you always be as happy? Mylinn and Duy are doing so well with their skin. They are sleeping well and eating so well. No itching during the night and morning is sleeping well too. Thank you Thầy. You seem to specialize in doing thoughtful deeds. Before we ask, you understand our problems and our needs. You help because you want to, you find joy in being kind, and making others happy is the first thing on your minds. You make this world a better place by practicing the art of reaching out to others and by giving… from the heart. Luong family in Sarasota, Fl. 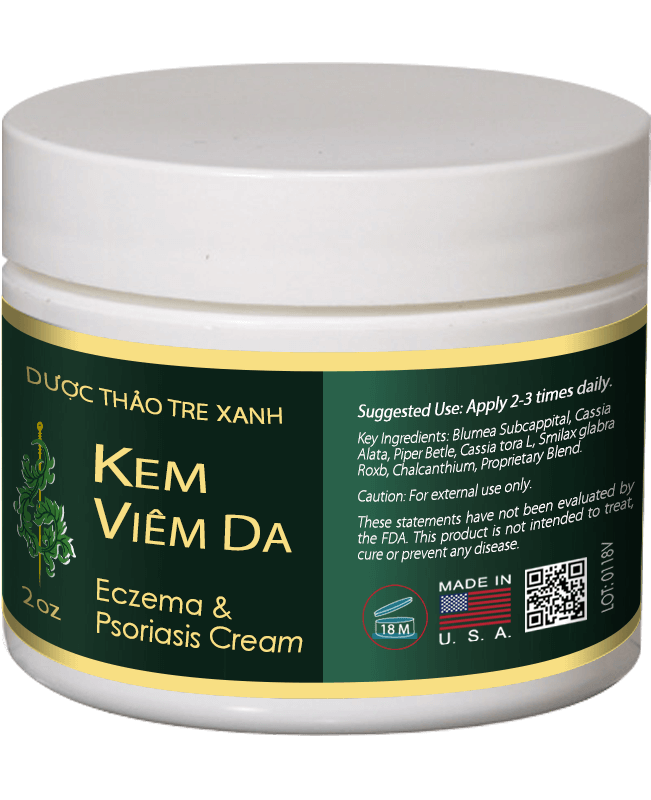 I can not thank you enough for healing my psoriasis. I suffered 20yrs with the awful disease. The first night home from acupuncture treatment I woke about 2:30am to use the bathroom. I was so excited about how good my skin looked I couldn’t go back to sleep. I ended up cleaning house, making my grocery list & exercising. I’m going on my 2nd week & I don’t look like I have psoriasis, it just looks like white sun spots. I am eagerly waiting for my pigment to come back. In the meantime, enjoying the soft smooth skin. On the behalf of Kenny Tran’s family , we would like to let you know how much we appreciate the treatment that heal the pain of over 40 people in our family including our Grandmothers , Moms, Uncles, Aunts, Sisters, brothers, Nieces, Nephews, and friends. This is a “Miracle” for all of us. We can now live without pain; we can have a good night sleep; we can now eat fruits that we dare to touch in the past. Moreover, it is over joy to see our children play at normal kids and enjoy the foods that they love. We understand that you and your family have overcome so many obstacles in this journey but still continue to help so many patients. Therefore, we would like to extend our sincerely thank you for your gifted skills to heal others, we wish that your clinic will continue open for treatment. Thank you... and God bless you. This is your patient from before. 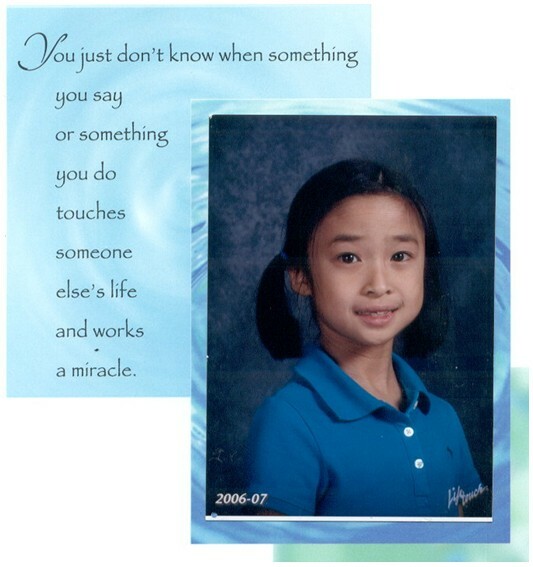 My name is Emily Tran. 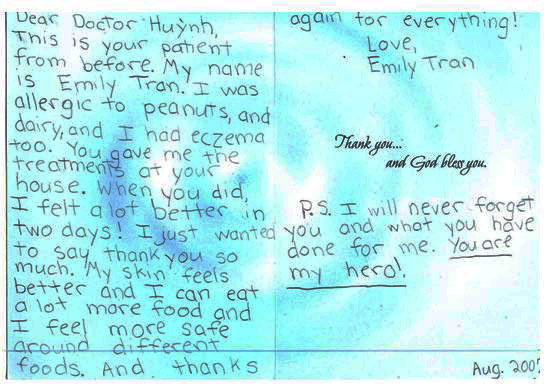 I was allergic to peanuts, and dairy, and I had eczema too. You gave me the treatments at your house. When you did, I felt a lot better in two days! I just wanted to say thank you so much. My skin feels better and I can eat a lot more food and I feel more safe around different foods. And thanks again for everything! P.S. I will never forget you and what you have done for me. You are my hero! Most Grateful Dad in the world! I would like to sincerely thank you for the treatment that you have administered to my son, Manh Aidan Nguyen, and dad in August. Your daughter, co Phuong, was very gracious and prompt in responding immediately to my email for help. We flew from San Jose, California out of desperation for our son’s severe itching problem and the great Dr. Tam was able to successfully cured him. It is nothing short of a MIRACLE! Believe me, we had him visit with the chairman of the children dermatology department at Standford and they were not successful. I know that you have many greatful patients thanking the service your family provides, but I just wanted to write to thank you again for the miracle that your family have performed. Since I’ve been back in California, my brother, Steve Tu, sister Lisa Loc, and nephew Tommy, has visited Charlotte for treatment and they are all very grateful as well. My sister Lisa has informed me of the many frustrations with inconsiderate patients coming to your house without appointment and littering on the neighbors property. I humbly ask you to forgive these folks lacking consideration and manners and to not close the clinic because of these folks. Dr. Tam you are a great medicine man and your contribution to everyone is greatly appreciated! I have been a walking infomercial for your great work Dr. Tam and everyone is planning on going, have gone, or buying the medication online. So please do not stop seeing people desperate of your help. Maybe you can put it on the website that patients are seen by appointments only, that is only a suggestion and you guys are doing great! If there is anything I can do for you, please do not hesitate to ask. My name is Janet Johnson, I am 50 years old, I live in South Carolina. My aunt distributes Dr. Tom’s medicine at her store and this is how I knew about Dr. Tom. I have psoriasis all over my body for 35 years and no American doctors could help me. I just had 1 acupuncture treatment with Dr. Tom along with taking Anti Toxicities Capsules and apply Psoriasis Cream, I see such a big improvements. I have to say this is a miracle, I can’t believe how quickly I can see the results. I am going to stay here this weekend to do 5 more sessions with Dr. Tom. Thank you so much, this is amazing. We are doing great. My sinuses and allergies are the best in many years. We have just returned to Ontario, Canada after a week staying Charlotte. The temperature here is only 85˚F but a patient of mine told me this morning that it was too hot for him. I remember feeling quite well in Charlotte and wonder how we stood it last week when the weather were above 100˚F every day. Could it have been those accupuncture needles that you used on us changed our perception? Or was it because of the music you played, the songs that Co Ha sang that cooled off the days? Coming from a Family Medicine background, I’ve got to say that your home-office was quite an experience to me. Not because it was busy but more because of the free interactions between the patients, the voices of children playing(and crying ;-) ), the stories and the prayers we heard, and the jokes and the laughters. At times it’s feel like there’s too much fun in this office to be a medical office. But I had seen people got treated and healed, in simple, inexpensive but effective ways. I also had seen the hope that you brought to the community for curative treatment of conditions that are often termed "chronic" in Western medicine. Thank you for open your home, your heart and and being such a gift to us all. And thank you for rekindle the desire in my heart to explore Oriental Medicine. We’ve found the freshness amidst a hot Summer week in Charlotte. I am writing this letter to thank you for all of the kindness that you have given me and my family. When I first visited you, I did not know what to expect, and I was pretty scared to think about someone sticking needles (acupuncture) in me, but you really made me feel comfortable and gave me hope that my skin would clear up. I am already seeing improvement in my skin from the treatment, which is very exciting because I have struggled with eczema for as long as I can remember. Throughout my life I have visited many dermatologists' offices, in hopes that my skin problems would disappear, but to my disappointment it has only in time gotten worse. I am, however, very thankful to finally find a doctor that is capable of helping me with this problem. Thus far, I have seen about a 75 percent improvement with my eczema. I look forward to meeting with you again in the future.